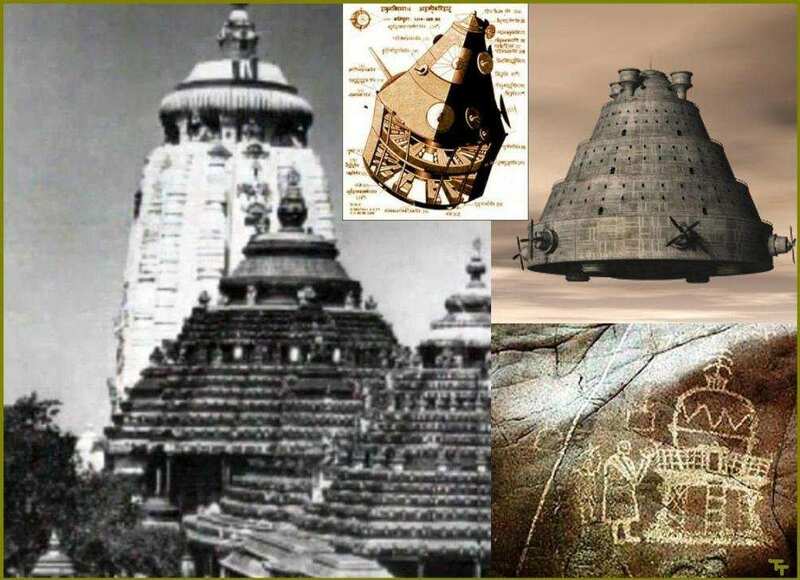 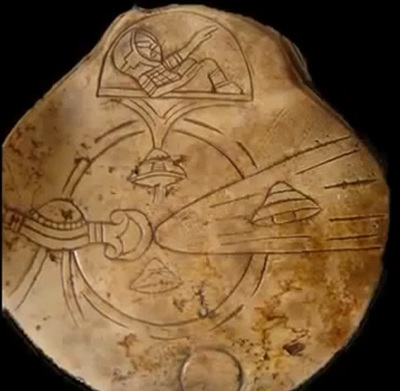 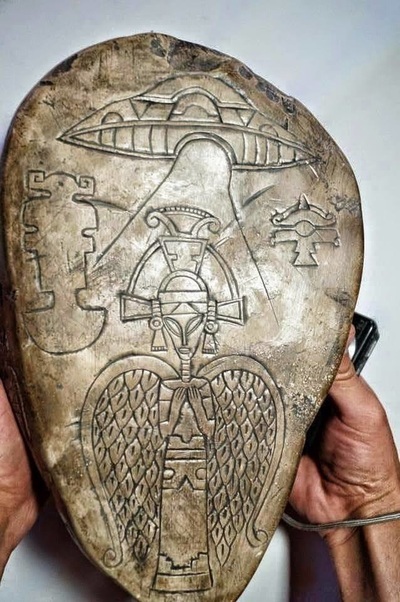 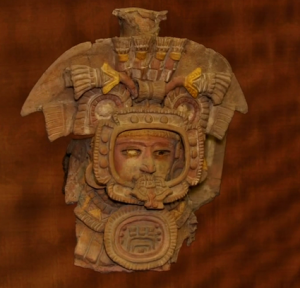 HIDDEN HISTORY/SACRED KNOWLEDGE:WHO CONTROLS THE WATCHERS? 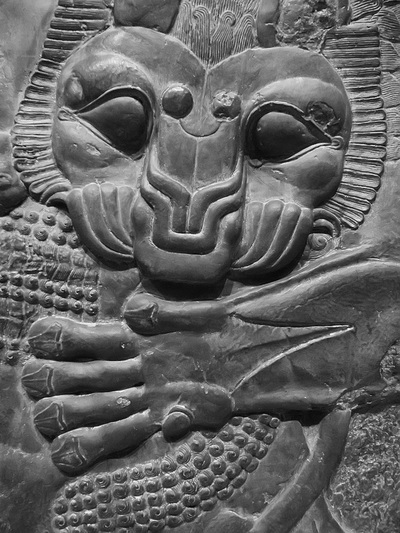 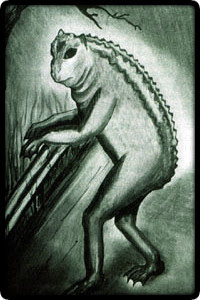 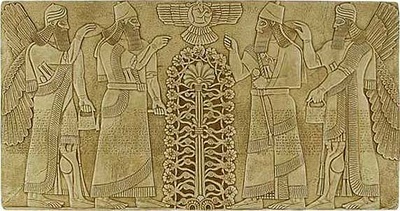 Think Ea,fully alien..creates the Apkallu,the seven Purada fish sages who were Oannes,teaching men (that Ea likely created)..then,because humans found the Sirian form repulsive, Ea's creations & his descendants became more human like..the Adamic line,while it received the most genetic infusions of Sirian genes, was white haired,strong,beautiful.."perfect in it's generation"(..bar the odd scaly patch or "mark of the Nefilim").The royal & elite bloodlines came down from this line..Whether the Sirians were turned on & defeated by their creations/descendants ( think St.George & the Dragon or the Olympians vs the Titans) or still remain at large I cannot venture to say at this juncture..Neither can I say whether humans existed prior to the Sirians arriving in their moon & later causing the flood or not but its pretty sure Homo Sapiens is around 200,000 years old..not millions of years..Most rock dating is wrong imo it forms faster than they thought as does coal. 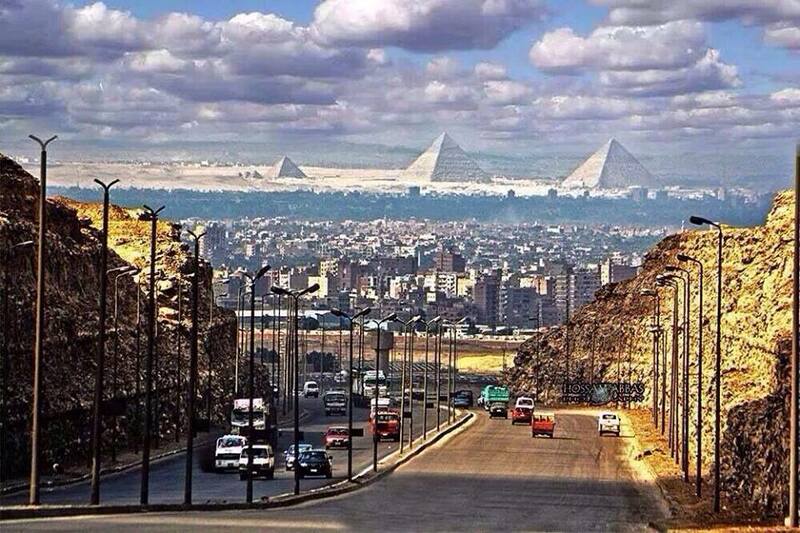 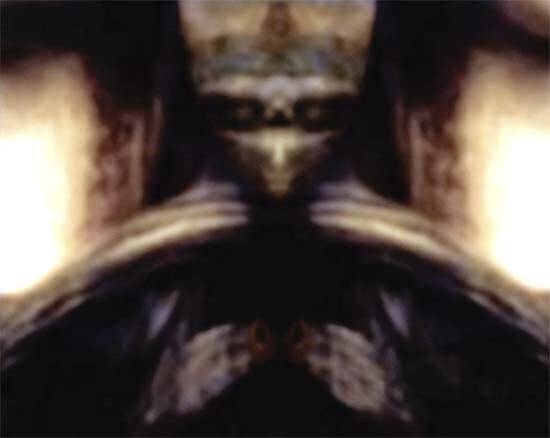 DO THEY STILL DWELL HERE? 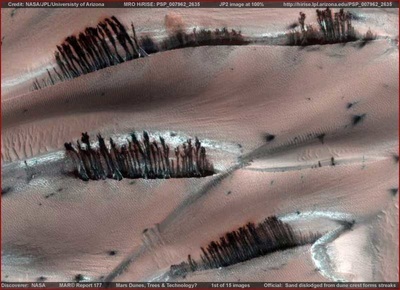 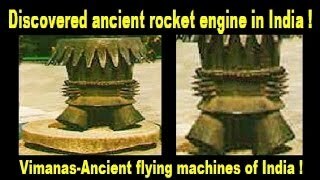 UNKNOWN,BUT HIGHLY PROBABLE.THEY COULD BE IN OUR MOON OR OTHERS LIKE SATURNS MOONS MIMAS,PHOEBE,TITAN..OR MARS MOON PHOBOS OR IN IAPETUS & POSSIBLY OTHERS,SUCH AS TITAN. 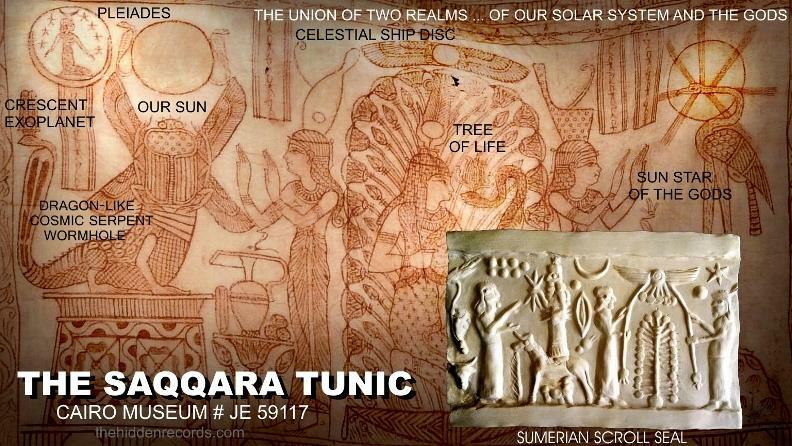 Legends worldwide tell how they founded civilisations..every civilisation with undistorted records says this..Greece,China (Fu-Xi was one),Sumer (Ea was one),Egypt (Ptah was one).. 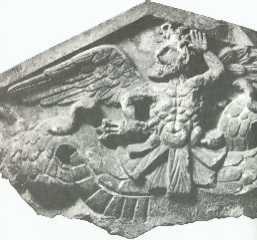 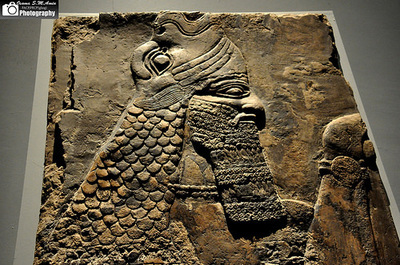 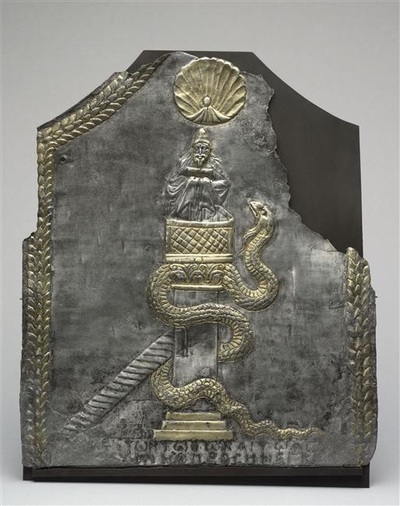 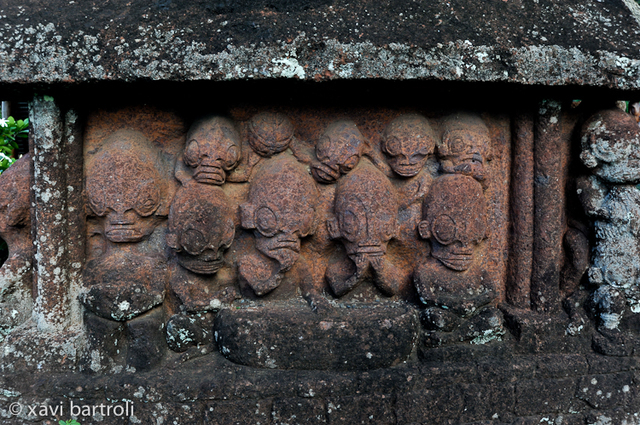 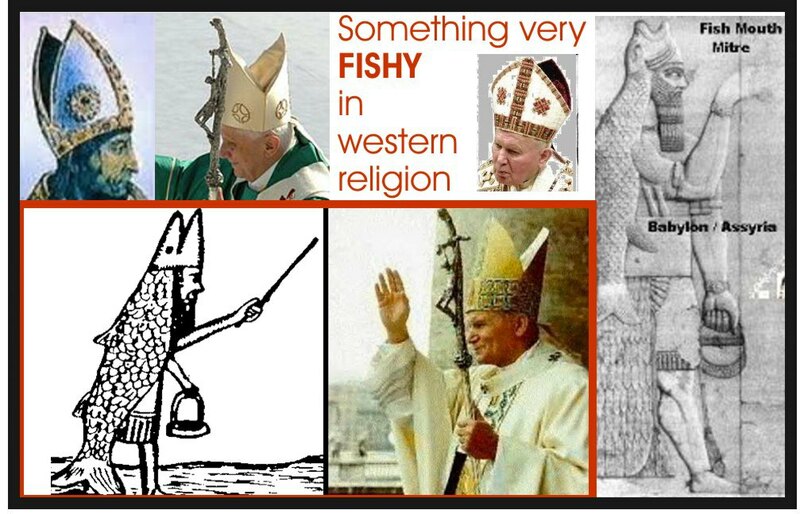 They are said to have fish tails..The pope's mitre hat is fishy..Dagon was one.. 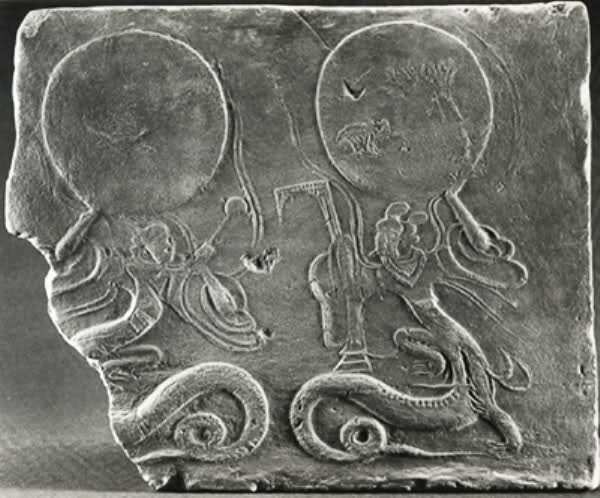 They are said to have created man,and to have caused the flood by moving the moon..
Zulu legends say how Wowane & Mpanku,the fish skinned "water brothers" hollowed out the moon & came here in it,how they threatened to move the moon & did so causing the flood. 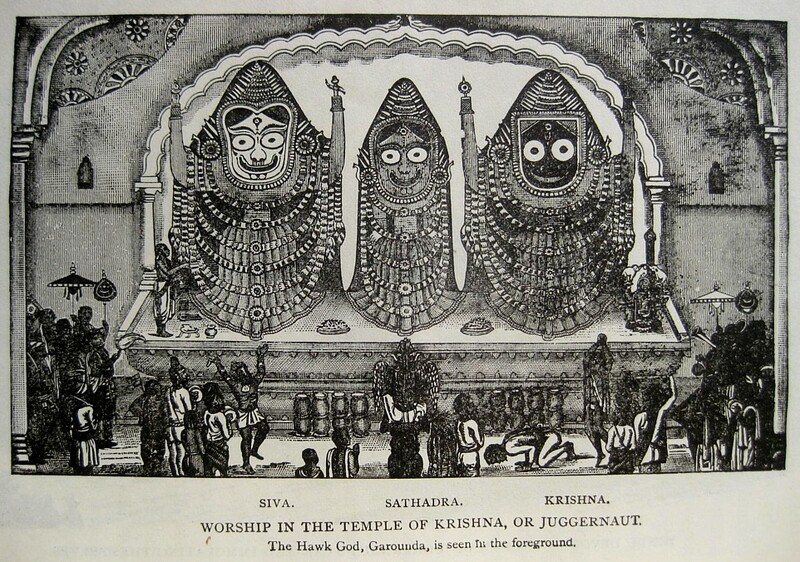 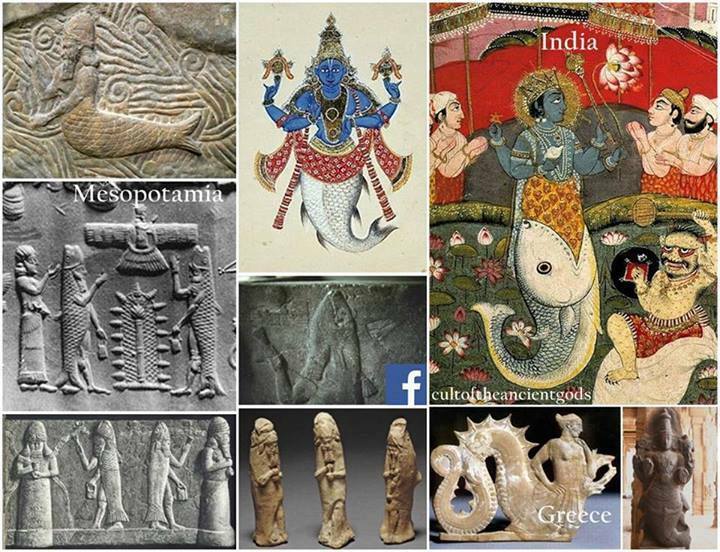 In India they are known as Nagas,in Sumer Anunna..look & you'll see every race speaks of serpents or dragons..founding Rome for example..royals revere serpent symbology..they inherited their rh negative bloodlines from them It is suspected.. 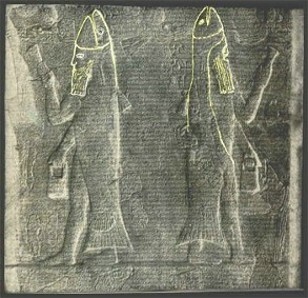 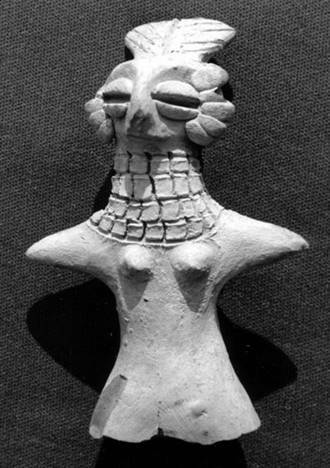 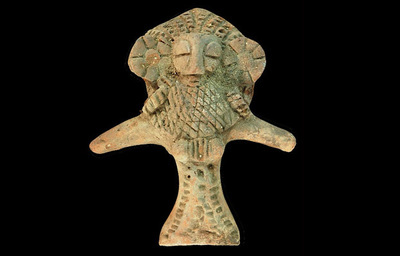 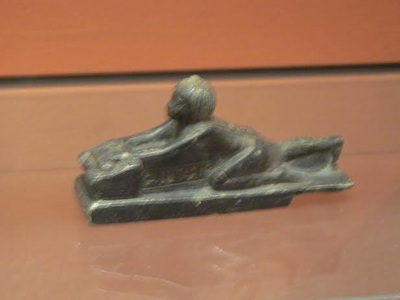 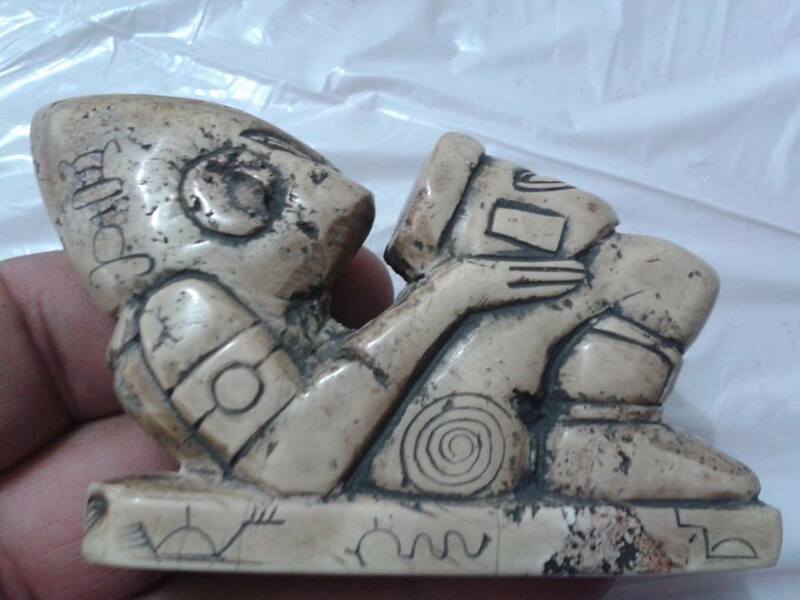 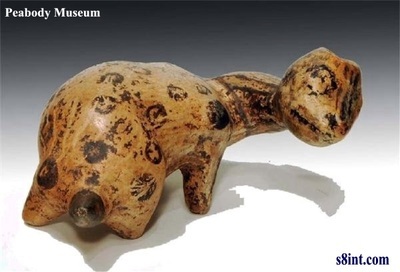 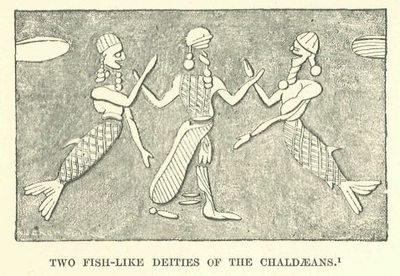 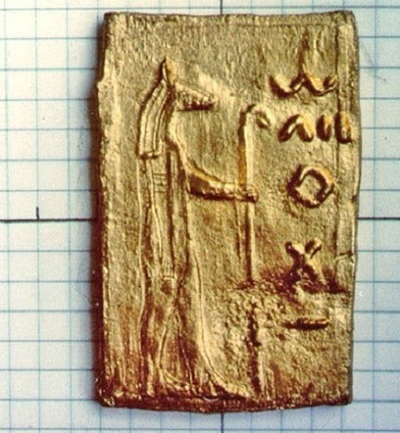 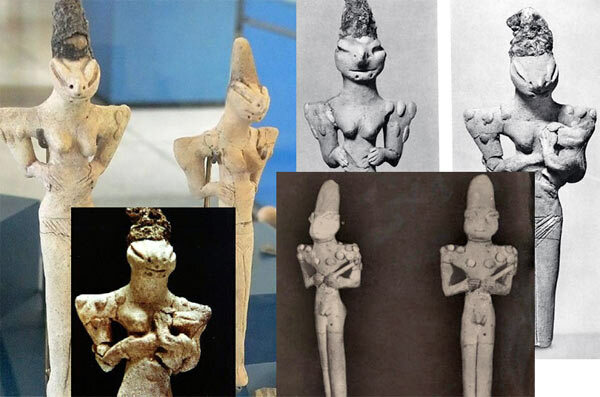 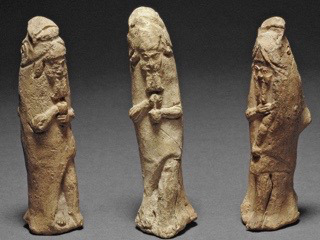 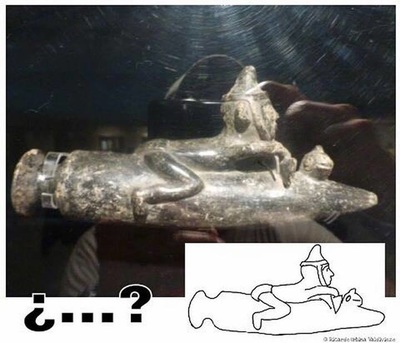 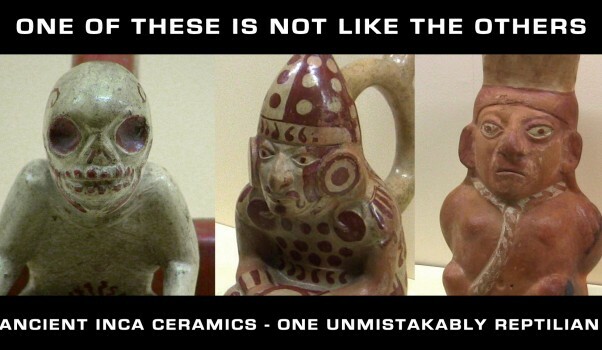 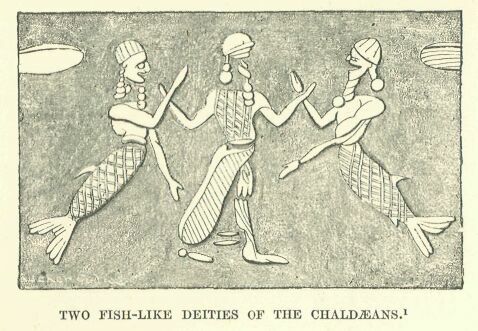 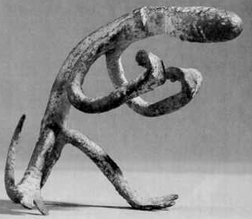 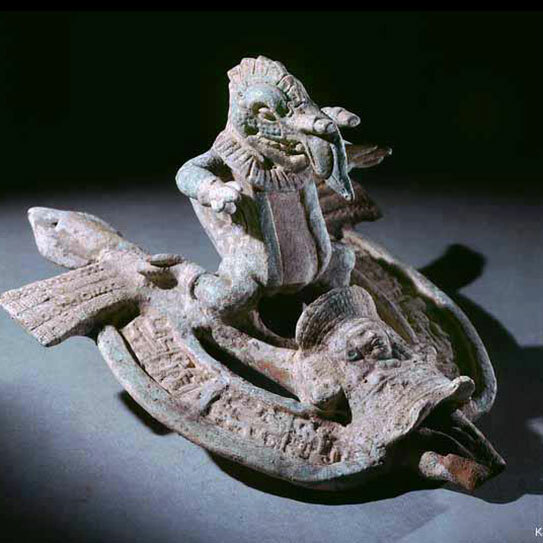 Above are pre Sumer "Ubaid" figurines depicting them.Some say they had no legs only fish tails,others that they had both or that they tails were symbolic. 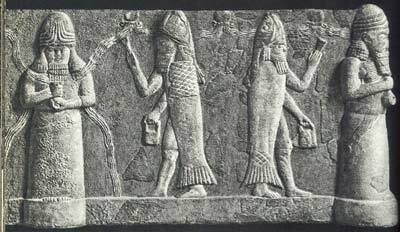 Whats sure is that they created Earth adapted people that were less noticeably fish like..the mark of the Nephilim was a scaly patch of skin that remained on early patriarchs of the Adamic line,famously on Noah..& Melchizedek the high priest. 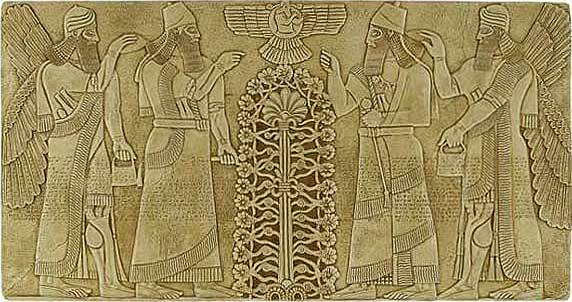 Anyway,They had very long lifespans,impossible to say how long but we know a thousand years for some early patriarchs prior to what Heslod called the "fall of man".. hundred years was considered young then..atmospheric pressure was greater,the pituitary output was higher & they were closer to the genetic infusions from these Sirian "Nommo"
Whether they walked or crawled is speculation at this point.. 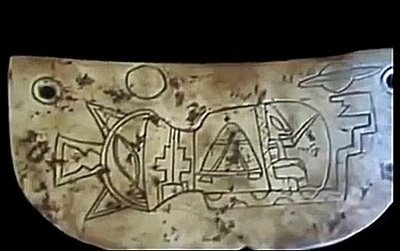 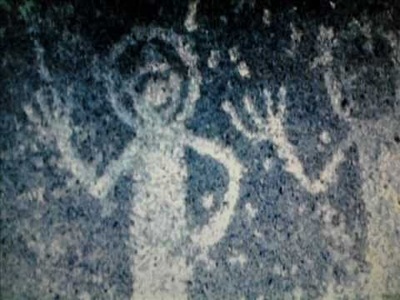 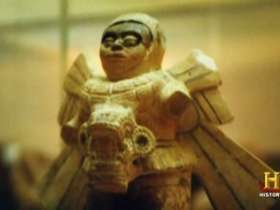 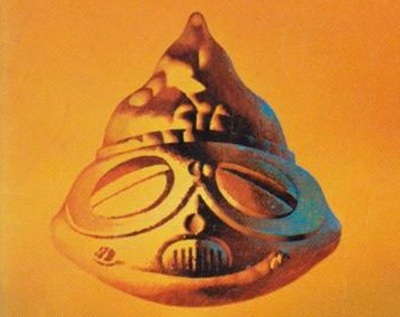 The Greeks,I think it was,referred to them as the Annedoti or "repulsive ones"..all of this is the sacred hidden knowledge of the elite's secret societies-this is why when British author Robert Temple released his book "The Sirius Mystery",telling how the Dogon had precise astronomical knowledge that they could not of or should not of known..& how they claim to have received it directly from the Nommo themselves,Temple found his life was to become made difficult by certain intelligence agencies..the agency that was most upset was the CIA. The "elite" were outraged that this man was giving away their sacred knowledge..Temple is a clever man & a scholar but theorises about how we could be being monitored..unaware that we are indeed being monitored as ufology demonstrates..the 150 retired people who worked with nuclear weapons that are on file with researcher robert Hastings have all testified to how ufos monitor the nuclear weapons.. 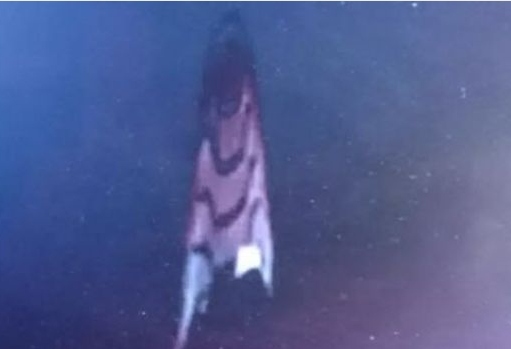 Above image from ISS showing a craft..whose I of course don't know,interesting though & Im sure many will debunk this but its a legitimate screen grab I'm sure.. Above:mirror trick in Da vinci art-does it show Sirian "god"? 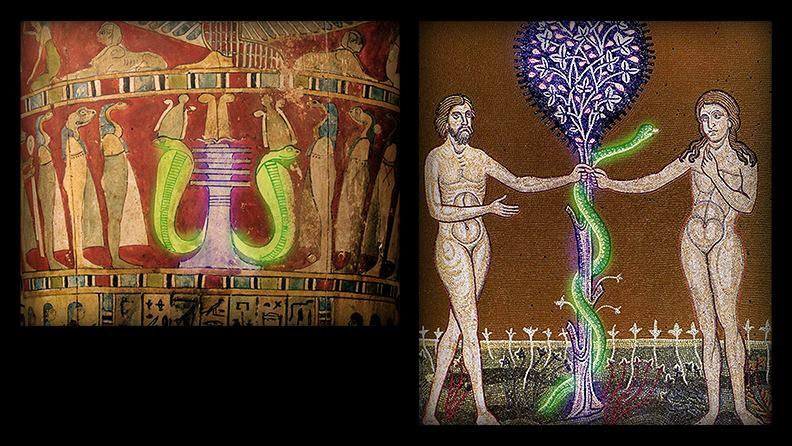 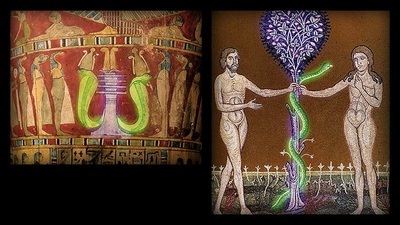 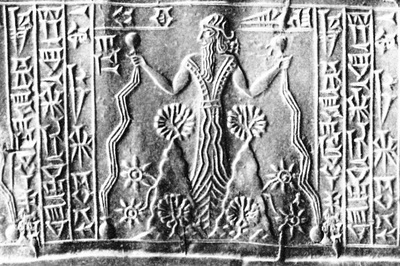 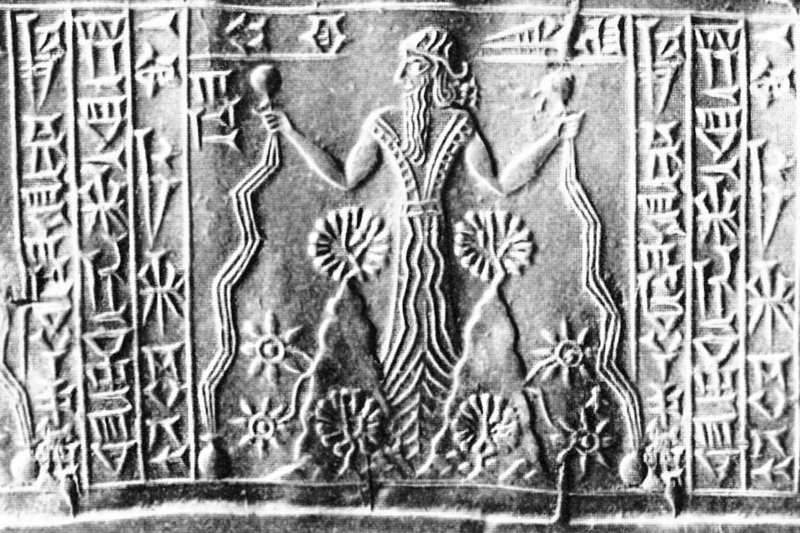 Above"What Herschel has marked as a "Dragon-like cosmic serpent wormhole" is,in my opinion a depiction of the "ones who crawl not walk"..the Annedoti or "repulsive ones" aka the creators of the Apkallu seven sages,the Purada fish etc etc..Progenitors from Sirius! 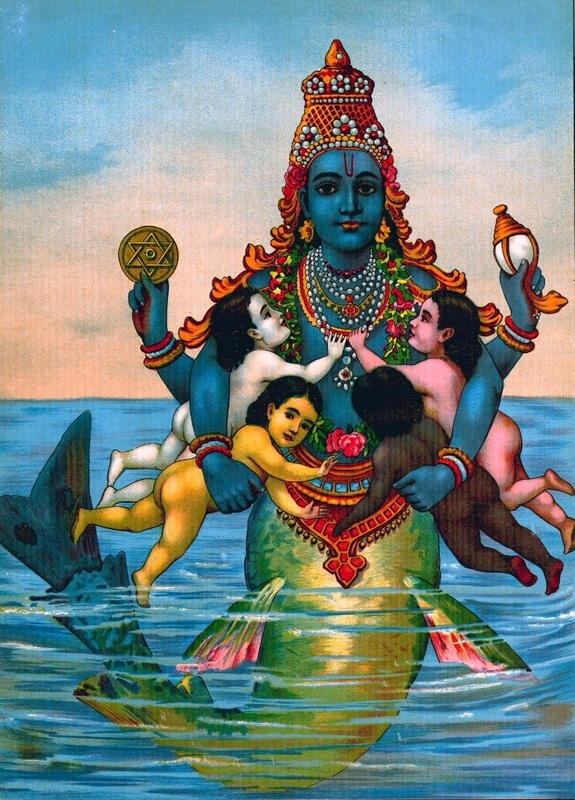 Above:Not coincidentally,Matsya was the primary avatar of Vishnu in the Vedas (associated with Brahma too)..in case your in any doubt as to exactly who Matsya is..here's a clue..He warned Manu about the flood & sent seven sages to help pilot the boat to safety..Sounds like Ea to me,with his Apkallu/7 sages.